Today (April 30th) is the feast of Pope St. Pius V in the Novus Ordo calendar. Prior to 1969, it was commemorated on May 5th. Like many other things that happened in 1969, I'm not certain why this feast had to be moved. The day of the pope's actual death was May 1st, so I guess May 5th was not accurate - but neither is the new date, April 30th, though it is a bit closer. 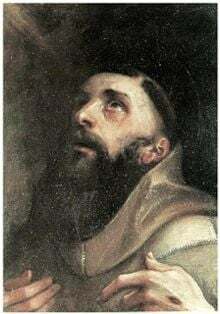 I thought perhaps it was moved to make room for some new saint in the calendar, but May 5th now remains the feast of nobody else but the obscure St. Hilary of Arles (d. 449). We all remember Pius V as the great pope who codified the "Tridentine" Mass and who had the famous vision of the Christian victory at Lepanto. He also gave us the important document De Defectibus, which besides defining rules on incorrect matter for the Eucharist (that are flagrantly disobeyed today), also gives some very fascinating and historically insightful guidelines for such sticky pastoral situations as what to do if livestock wander into Church during the consecration, how to proceed removing a fly from the Precious Blood, and what to do if the Precious Blood freezes during the Mass. "We wish therefore and enjoin that all keep the law of the Church, and that when at home or when engaged in the sanctuary they should always wear the cassock ['vestis talaris'] which is proper to the clergy. When they go abroad for duty or relaxation, or when upon a journey, they may use a shorter dress, but still one that is black in colour, and which reaches to the knees, so as to distinguish it from lay costume. We enjoin upon our priests as a matter of strict precept, that both at home and abroad, and whether they are residing in their own diocese or outside of it, they should wear the Roman collar." Pope St. Pius V managed the papacy with stringent efficiency and saw to it that the reforms of Trent were enacted and that discipline was tightened down. Contrast this with post-Conciliar popes who saw to itdirectly or indirectly that Vatican II was not enacted and that discipline was lightened. I think the current Magisterium could learn a thing or two by looking to the post-Tridentine Magisterium and seeing how it was that they chose to "implement" Trent, which was a vastly different program than the one we now have for implementing Vatican II. After Trent, the Church's Catholic identity was strengthened, which is anything but true for the post-Vatican II Church. I think the greatest lesson from the life of Pope St. Pius V is that a pope really can get stuff done if he wants. Think about the political and technological obstacles that existed then with regards to communicating with bishops, getting kings to cooperate with papal directives, etc. Yet Pope St. Pius still managed to run the Church and plant it solidly in the ground of the Tridentine reform where it flourished for the next several centuries. Imagine what a man like Pius V could do if he were dropped into the Chair of St. Peter today with the ease of communication and the relative apathy of the nation-states of the world towards Church affairs (the apathy of bishops and Catholics being another matter altogether). St. Pius V, ora pro nobis! I wanted to add a little bit to my last post on John Paul and clarify some things. My last post was kind of a ramble, but this one will (hopefully) be more thought out. What I am trying to get at is that I feel that now, for the first time, my approach to the papacy is intellectual and rational rather than emotional. As a conservative Catholic, I had an emotional attachment to the person of John Paul II and a well-intentioned pious devotion to him that was somewhat lacking in a balanced conception of what the office of the papacy was. When I started to move more and more to the Traditionalist mindset, I took a fairly negative view of John Paul II, but this too was largely an emotional reaction to what I saw as the continued downward spiral of the Church under him. And it is right to feel emotional distress over the state of the Church at times. But now that he has been gone for four years, and that I have matured, and that I have had to do pastoral work in a parish setting and have had ample opportunities to watch my own pastor, I have come to what I believe is a balanced, rational approach to JPII's pontificate that is not based on emotions, either in praise of him or in blame of him. I understand now that a pastor has to act circumspectly and with great care, for the eternal destiny of souls is in his hand. He can't simply fire all the bishops or something crazy like that without introducing worse disorders into the Church. Therefore, while I still think John Paul II's encyclicals were overly wordy and inaccessible to the common person, I now see that we ought not to always jump to blame if the pope doesn't say something as strongly as we think he ought to have. I also understand that the problems in the Church were present before John Paul II took office, and that he did do a bit of good in trying to turn the tide. The publishing of the CCC was a good step, I think, and his declaration in Ordinatio Sacerdotalis was also of tremendous importance. Fides et Ratio remains one of my favorite of his encyclicals and makes some very valid points that are desperately needed today. He also did some bad - appointing more liberal bishops, all the interreligious nonsense that has already been documented ad nauseam, legitimizing abuses and allowing some of the worst of them to go on at his own masses. But even these things which are unreservedly bad may not be entirely his fault - who knows how much of this was organized by underlings, or regarding appointments, how often the pope appoints a bishop on the word or urging of someone else without knowledge of their true nature. We have to allow that a person at the head a bureaucracy that manages a billion people may not always be informed about everything done on his watch. If there is one thing he could be justly criticized for, in my opinon it is not being clear enough in his actions. The pope sends strong statements not just in what he writes, but what he does, and for me his biggest failure was in sending confusing messages to the faithful and the people of the world - kissing the Koran and also allowing Dominus Iesus to be promulgated, sending a confusing message; calling repeatedly for obedience and then doing absolutely nothing about it when Bishops ignored him (like letting the publicly pro-homosexual and dissenting Bishop Thomas Gumbleton of Detroit remain in his post for his entire pontificate; Gumbleton was not removed until 2006 when BXVI denied his request to stay in office past the mandatory retirement age). Another issue of JPII was his writing about respect for liturgical norms and then allowing his masses to be festivals of creativity and innovation. But coming back to my original point, I am now more inclined to forgive him for these things. It is a primary truth of the Christian moral life that we ought to view our own faults in the most serious light but be inclined to give a generous explanation to the faults of others, and I can't see how this is any different when looking at the pope. Nobody knows what it is like to sit on the Throne of Peter and what pressures must come with it, and while I do not deny that I think JPII screwed up on some very important matters, I also no longer hold him in the hostility and condescension I once did. Should he be canonized? I don't know, but probably not. Nothing I say is going to have any effect on the matter, and if he is canonized, then nobody can say he shouldn't be invoked. If the Vatican Congregation for the Causes of Saints decides to canonize him then I trust their judgement. If not, they won't (hopefully). But again, what is more important to me is not whether or not John Paul is canonized, but whether we as a Church can truly internalize and grow from the good things that he did leave behind and humbly excuse him for some of the less good things, remembering that the measure with which we measure shall be the standard by which we ourselves are judged. And if God judged me solely on the screw ups I made, then I'd be in deep trouble. Hopefully this post is a little more clear cut and understandable than my last one. I read an interesting article on Zenit today by Supreme Knight of the KofC, Carl Anderson, on John Paul II entitled, "John Paul's Legacy: 4 Years Later." It was much of thesame standard pop-Catholic approach to John Paul's pontificate: his work bringing down Communism, his defense of the dignity of life, his 'legacy' of Theology of the Body and all of the many countries he went to (when are people going to stop listing the fact that John Paul traveled a lot as if it is somehow meritorious? Traveling is good if you are doing good on your travels, but the fact that one traveled a lot in and of itself is not meritorious and certainly not grounds for canonization, especially since JPII did some questionable things on his travels, like kissing the Koran, allowing Aztec paganism at the canonization of Juan Diego, etc. I have wondered about JPII's legacy myself quite a bit over the past several years. When JPII was alive, I was a regular conservative Catholic who adored the late Pontiff. I had read all of his writings (most of the important ones, at least) and cried when he passed away. Then, as I discovered Traditionalism, my attitude towards him went about 180 degrees, and I began to view him somewhat coldly due to the abuses and neglect that were characteristic of his pontificate - especially once I started learning about many of the questionable things JPII did. Now I think I have warmed up to him again somewhat, and I guess I relate to him with what can best be called distant admiration. As an adminstrator of the Church, I think John Paul II was an utter failure. I have read many memoirs of persons who worked in the Vatican during the JPII years who reported that JPII was one of the most disorganized popes of modern times and many colorful descriptions of his desk buried in a random assortment of papers have made their way to out of Rome. I don't know if these anecdotal stories are accurate or not, and it doesn't matter whether one has a messy office. But to me, this picture of his chaotically disheveled office is symbolic of his management of the whole Church. Under JPII, abuses were legalized, more unworthy persons were admitted to the episcopate and the Pope confused Catholics by declaring one thing in his documents and then permitting the opposite to happen in his own papal masses and World Youth Day Masses. Neverthless, I have more of an appreciation now than I did a few years back of the pastoral dimension of being pope - that is, taking into account that one is dealing with real people with real souls, and that however much we might want the pontiff to start thundering down anathemas, the reality is that a true pastor is never going to take that approach, that "Here's the truth and the rest of you can go to hell" attitude that many Trads have had, and I don't exclude myself. I can understand why a pope wants to say things and make gestures in as sensitive a manner as possible, for I have had to deal with this frequently in my own apostolate as a Youth Director/ DRE, and I have seen my own pastor have to work this way on numerous occasions. I guess the issue is this: when does being pastorally sensitive cause you to bend too far and become a pushover or a cafeteria Catholic? When confronted with a gnostic heretic, St. Polycarp is said to have angrily stated, "I know you, you firstborn of Satan!" Would we respond to a modern day heretic the same way? Even if we would, should we? I think the difference between conservative Catholics and Traditionalists is that we hold to differing opinions of where that line between pastorally sensitive and pushover is. I have no problem understanding that a pope has to be pastorally sensitive - but I do take issue with the practice of using "pastoral" to justify almost anything John Paul II does. You can find scores of Catholics on the Net and in print who say that the Assisi meetings, the Koran kissing, the lewd foreign Masses, the irreverent Youth Masses and the pagan rituals in Mexico, Papua New Guinea, etc. were all justified because of "pastoral concerns." To me that is just dishonest. Let's acknowledge that the Pope has to act pastorally, and that this sometimes means behaving more circumspectly and with less gusto than perhaps we would like. But let's not take this principle and attempt to write off every single wacky thing a pope might do as being "pastoral." Ultimately, pastoral means that something is done out of care for souls, and anything that leads to ambiguity or confusion cannot truly be pastoral. This is one word that certainly needs to be reclaimed from the Vatican II Newspeak intelligensia. The question we should ask isn't "When will John Paul be beatified?" But rather, "When will we follow his example to build a true culture of life and civilization of love?" This is I think what we can take away from JPII - not hero worship or adoration of John Paul the man, but a taking to heart of the most important and enduring elements of his message and putting them into practice in our own culture. This is what JPII would have wanted. A few months ago, our parish music director came across a ton of old bulletins from the 1960's stashed away in a closet. In leafing through these bulletins (which stretch from 63-Dec. 68 and then pick up again in 1977), we came across many articles that referenced the liturgical destruction going on in the Church - it was very interesting to see how these changes in the Universal Church were played out on a parish by parish level and how they were introduced to the congregation. It's really fascinating - someone should send it to Fr. Z (hint). I only today got a chance to really flip through them, and there is so much material here that one could write a very full and interesting book on the effects of Vatican II on the life of a single parish. However, I'd just like to include a few of the more interesting excerpts here. Words in bold were underlined in the original. The one thing I want to draw attention to is the high-handed manner in which these changes were introduced - no explanation, no transitionary period, simply "This is what we are doing and we expect you to comply." Remember, bold words were underlined in the originals, which helps to get a feel for the tone. As you know, the Church now permits the priest to administer the Sacraments in English for the benefit of the people. Up until now, after you confessed your sins, the priest gave the penance, then you said the Act of Contrition while the priest gave you absolution in Latin. From now on, you will not say the Act of Contrition in the confessional, but in the pew, before coming into the confessional. So, immediately after the priest gives you your penance, he will say the form of ABSOLUTION IN ENGLISH, while you listen. Remember, contrition or sorrow is absolutely essential for a good confession, so be sure you say the Act of Contrition before entering the confessional. As we announced last Sunday, the form of ABSOLUTION in confession is now said by the priest in ENGLISH. You are reminded, once again, to say your Act of Contrition, in the pew, before coming into the confessional, so that you can listen and understand what the priest is saying to you. Beginning next Sunday, the Sunday Masses will be said in English (however, the Altar Missal and your new books have not yet arrived). In the meantime, you will use the olive-green books in your pews. You will notice that an insert, with the new version of the English Mass, has been glued in on the first page. 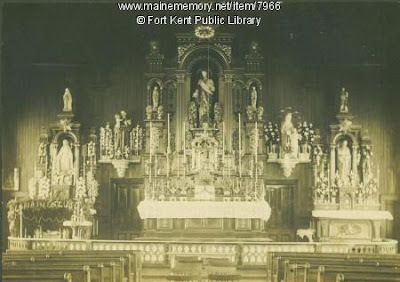 Besides the language, the following few changes will be made: A layman will read the Epistle from the Sanctuary; everyone is expected to join in the singing of the 4 hymns during the Mass: the first will be sung as the priest enters the Sanctuary, the 3nd during the Offertory, the 3rd at Communion time and the 4th while the priest is saying the Last Gospel. As the priest gives you Holy Communion, he says "Body of Christ." You answer "Amen." There will be a few changes in the timing of the standing, kneeling and sitting positions during the Mass, but the commentator will direct you. Remember that these changes are made for the benefit of ALL the people. Therefore, the Church expects everyone to take part in the Mass and sing and recite the prayers aloud. Today is the first anniversary of the death of President John Kennedy. Let us offer this Mass and all our prayers for the happy repose of his soul. Eternal rest grant unto him, O Lord. We have started to say the Mass in English this morning. The Church directs all Catholics to say the prayers of the Mass together and aloud. Everyone is expected to sing the hymns during the Mass. Use your olive-green book for the hymns and the little insert on page 1 for the prayers (new books have not yet come). Follow the Commentator as to when you should sit, stand or kneel. When the priest gives you Holy Communion he says "Body of Christ." You answer "Amen" in English, not Latin "Amen" [original contains accent marks on the vowels a and e]. For how much the spirit of Vatican II people are supposed to care about the laity, there is sure no real instruction here, just a set of directives to be obeyed under obedience. Yet I thought these changes were about freeing the people to participate? Religion is ritualized by nature. Religion must use symbols to point to realities that are difficult to grasp sometimes. We ritualize more than just religion. We have rituals in our government...and rituals even in our families. At birthdays, we make a cake and sing a song. Songs express special joy. What about the candles? What about giving gifts? What does it express when we use these things? Another reason we ritualize things is to show that they are about sacred realities. Especially when it comes to relationships of love, rituals are important. What are we really doing when we come here on Sundays? Why do we do what we do? We dress up. We have ceremonial robes; we light candles; we have this special structure...what does it all mean? If we were to sum up what we do here in one word, it would be sacrifice. The natural instict of religion is ritual sacrifice. All the symbols around us here in this Church show that sacrificial reality...in a deeper sense, we see that religion involves sacrifice because it is about God and God is love and in this world love and sacrifice walk together the same path...Pope Benedict XVI wrote, "the transubstantiated host is the anticipation of the transformation and divination of all matter in Christological fullness...the Eucharist provides the moevment of the cosmos with its direction." The Eucharist is the goal of the entire cosmos. It is the direction. Remember, all that explaining was just for the sake of educating parishioners about why this priest was going to adopt the ad orientam posture during Mass. Who seems more authoritarian and power hungry, this priest who is trying to explain the intricacies of liturgical theology to his people, or the priest from the 1960's who arrogantly says "You're going to do x, y, z and the Church expects everyone to participate"? I am someone who has read a lot of liturgical books and knew what the General Instruction of the Roman Missal said about it – that is, I knew the “rules and regulations.” But I was uncertain how I would actually like it once he started doing it and how it would effect my subjective experience of going to Mass. Therefore I decided to try to put out of my mind all the theology I had studied and the books I’d read and just observe the Mass as somebody just walking in off the street, like a blank slate. Several things struck me about the experience: first, I think there is a great aesthetic beauty when the priest says Mass facing the Lord. Everything seemed to come together up at the altar: the beautiful backs of the vestments (which we so seldom see), the elevation of the host in front of the crucifix calling to mind the sacrifice of Christ, the unity of the priest, servers and entire congregation praying and orienting themselves towards the mystery being accomplished on the altar. I thought the coalescence of all of these elements made the experience something transcendent – takes our attention from the face of the priest, and refocuses it on the sacrifice of Christ. This reminds us that the Mass is not about the priest or his “performance,” but about Jesus’ offering of Himself to God the Father. Another beautiful theological truth came to me as I watched Fr. Gerald consecrate the host upon the altar, hidden from the view of the congregation, and then suddenly elevate it after the consecration. The elevation reminded me of something wondrous, like the sun suddenly rising from behind the mountains and breaking forth upon the earth – just as Scripture refers to Christ as the Sun of Righteousness who rises up with healing in His wings (Mal. 4:2). The fact that the consecration happens out of view of the congregation and that we do not see the consecrated host until the elevation brought to mind a profound truth: though the suffering and death of Christ was public, it was also hidden. Many people witnessed the physical death of Christ: the women, the disciple John, and the Roman centurions. But in another sense, the true suffering of Christ was veiled. Nobody can possibly get a glimpse into the agony He endured from bearing the sins of the world, from enduring the total rejection of love and the desolation that came with it. No human being can ever comprehend this suffering. This is what I got out of the Mass: the consecration happening in secret, veiled like the interior agony of Our Lord at His death, but then followed by the elevation before all the people, just as He was lifted up upon the cross for the whole world to gaze upon. In the end, I found that I lost nothing by experiencing Mass said with the priest facing the altar, but that my experience was greatly enriched. It made Mass a more beautiful and edifying experience, and refocused my attention on the sacrifice being carried out on the altar, which in the end is what the whole liturgy is about: divine love offering itself for the salvation of mankind. As far as I’m concerned, anything that can bring this home to me more firmly is a welcome addition. I mentioned this because I think it is good for us all to discuss it. I was talking with Fr. Gerald the other day in the Church and he asked me what I thought about the Mass being said this way, and this article is my response. What do you think about it? Please let Father Gerald know. He is available to talk about it. The last sentence is especially revealing: "What do you think about it? Please let Father Gerald know. He is available to talk about it." Remember, those in favor of tradition are supposed to be rigid and inflexible. Did the bulletin articles from the 1960's ever invite the parishioners to come talk with the pastor about any of the liturgical changes? No way. I hope this brief and fascinating look into the way the liturgical reforms were implemented helps to destroy the myth that trads are all about mindless obedience and authoritarianism while "spirit of Vatican II" people are about openness and dialogue. Reread those articles from the bulletins of 64 and 65. There's nothing open about them. Exultet iam angelica turba caelorum:exultent divina mysteria:et pro tanti Regis victoria tuba insonet salutaris. Gaudeat et tellus tantis irradiata fulgoribus:et, aeterni Regis splendore illustrata,totius orbis se sentiat amisisse caliginem. Laetetur et mater Ecclesia,tanti luminis adornata fulgoribus:et magnis populorum vocibus haec aula resultet. Quapropter astantes vos, fratres carissimi,ad tam miram huius sancti luminis claritatem,una mecum, quaeso,Dei omnipotentis misericordiam invocate.Ut, qui me non meis meritisintra Levitarum numerum dignatus est aggregare,luminis sui claritatem infundens,cerei huius laudem implere perficiat. Vere dignum et iustum est,invisibilem Deum Patrem omnipotentem Filiumque eius unigenitum,Dominum nostrum Iesum Christum, toto cordis ac mentis affectu et vocis ministerio personare. Qui pro nobis aeterno Patri Adae debitum solvit,et veteris piaculi cautionem pio cruore detersit. Haec sunt enim festa paschalia,in quibus verus ille Agnus occiditur,cuius sanguine postes fidelium consecrantur. Haec nox est,in qua primum patres nostros, filios Israeleductos de Aegypto,Mare Rubrum sicco vestigio transire fecisti. Haec igitur nox est,quae peccatorum tenebras columnae illuminatione purgavit. Haec nox est,quae hodie per universum mundum in Christo credentes,a vitiis saeculi et caligine peccatorum segregatos,reddit gratiae, sociat sanctitati. Haec nox est,in qua, destructis vinculis mortis,Christus ab inferis victor ascendit. Nihil enim nobis nasci profuit,nisi redimi profuisset.O mira circa nos tuae pietatis dignatio!O inaestimabilis dilectio caritatis:ut servum redimeres, Filium tradidisti! O certe necessarium Adae peccatum,quod Christi morte deletum est!O felix culpa,quae talem ac tantum meruit habere Redemptorem! O vere beata nox,quae sola meruit scire tempus et horam,in qua Christus ab inferis resurrexit! Haec nox est, de qua scriptum est:Et nox sicut dies illuminabitur:et nox illuminatio mea in deliciis meis. Huius igitur sanctificatio noctis fugat scelera, culpas lavat:et reddit innocentiam lapsiset maestis laetitiam.Fugat odia, concordiam paratet curvat imperia. O vere beata nox,in qua terrenis caelestia, humanis divina iunguntur! In huius igitur noctis gratia, suscipe, sancte Pater,laudis huius sacrificium vespertinum,quod tibi in hac cerei oblatione sollemni,per ministrorum manusde operibus apum, sacrosancta reddit Ecclesia. Sed iam columnae huius praeconia novimus,quam in honorem Dei rutilans ignis accendit.Qui, licet sit divisus in partes,mutuati tamen luminis detrimenta non novit. Oramus ergo te, Domine,ut cereus iste in honorem tui nominis consecratus,ad noctis huius caliginem destruendam,indeficiens perseveret.Et in odorem suavitatis acceptus,supernis luminaribus misceatur. Flammas eius lucifer matutinus inveniat:Ille, inquam, lucifer, qui nescit occasum:Christus Filius tuus,qui, regressus ab inferis, humano generi serenus illuxit,et vivit et regnat in saecula saeculorum. Please remember to pray for the Holy Roman Emperor also, which used to be included pre-1955! I'm not sure who the current claimant is, but heck, it couldn;t hurt! 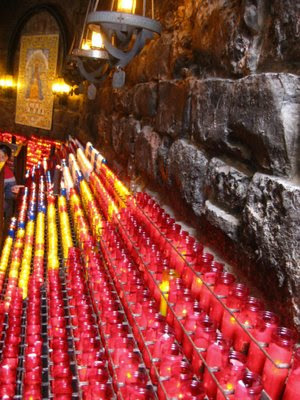 Question: Is improper to light votive candles in front of veiled statues? Answer: Besides the obvious concern about whether or not the candles will light the veils on fire, we could look to "Ceremonies of the Liturgical Year" by Bishop Peter Elliott; in §217 he indicates that there should not be votive candles available prior to the Gloria at the Easter Vigil. Effectively, this means no vigil candles until after the Easter Vigil Mass. However, Elliot applies this only to the Triduum, but I'd imagine the same would still be true anytime when the statue is veiled, based on what seems to make sense. It seems to me that a vigil candle in front of a veiled statue or image is something akin to hiding an object under a bushel basket and then in the same location posting a big arrow sign that says "here it is". Then came the day of Unleavened Bread, on which the Passover lamb had to be sacrificed. So Jesus sent Peter and John, saying, "Go and prepare the Passover for us, that we may eat it." They said to him, "Where will you have us prepare it?" He said to them, "Behold, when you have entered the city, a man carrying a jar of water will meet you. Follow him into the house that he enters and tell the master of the house, 'The Teacher says to you, Where is the guest room, where I may eat the Passover with my disciples?' And he will show you a large upper room furnished; prepare it there." And they went and found it just as he had told them, and they prepared the Passover (Luke 22:7-13). Then they led Jesus from the house of Caiaphas to the governor’s headquarters. It was early morning. They themselves did not enter the governor’s headquarters, so that they would not be defiled, but could eat the Passover (John 18:28). Since it was the day of Preparation, and so that the bodies would not remain on the cross on the Sabbath (for that Sabbath was a high day), the Jews asked Pilate that their legs might be broken and that they might be taken away (John 19:31). So they took the body of Jesus and bound it in linen cloths with the spices, as is the burial custom of the Jews. Now in the place where he was crucified there was a garden, and in the garden a new tomb in which no one had yet been laid. So because of the Jewish day of Preparation, since the tomb was close at hand, they laid Jesus there (John 19:40-42). So we are left with two chronologies: one has Jesus eating the Last Supper on the eve of the Passover, the other has Jesus dying the afternoon before the Passover even begins, which is apparently celebrated Friday evening going into Saturday. Which one of these accounts is true? Well, the biblical skeptic quickly says that two contradictory accounts disproves the story, but the historian understands that maybe the problem is not two contradictory accounts but two Passovers. In Israel in the first century AD there were two different Passovers being kept that were calculated using two differing calendars. The original Jewish calendar (called the "Creation" calendar) dates the beginning of a new day from the setting of the sun, based on Genesis 1 where a day is defined as the time from when the sun rises to when it sets, based on a separation between darkness and light. All of the original mandates for the Feasts in the Old Testament were based on this understanding of the calendar. So for the Creation calendar, a new day is commenced at sunrise, and furthermore, a new month is commenced at the beginning of a new moon (see Numbers 28:14; 1 Samuel 20; Isaiah 66:23). But when the Romans came into Palestine they introduced a differing calendar, one where a new day was reckoned from midnight. Thus a Wednesday night and Thursday morning share the same darkness but midnight splits the night into two dates. Another factor is that while in Babylon, the Jews adopted the practice of reckoning the new months not from the new moon but from the sighting of the first crescent of a new moon. After the return from Babylon, the Jews nationally used the Babylonian system to determine when Passover should begin. 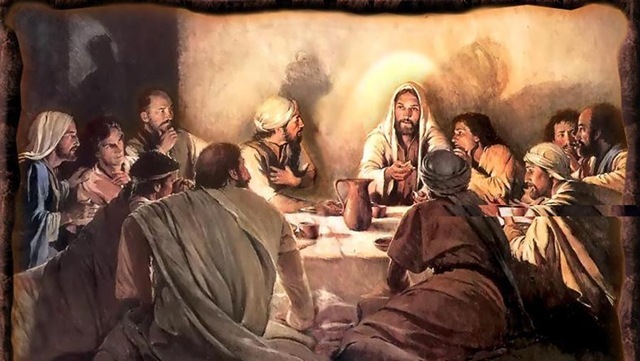 This was the national Passover that was kept by the Pharisees, Temple authorities and most Jews that took place the evening of Good Friday going into Holy Saturday, as recorded in the Gospel of John. Since John was a relative of the High Priest and educated in the Temple establishment, he would have naturally regarded the later Passover as the true Passover. But the Jews were divided on the date of the observance of Passover. Some Jews insisted on following Creation’s calendar, that is, Nisan 1 began on the day of a new moon. Jewish leaders, however, insisted on using the Babylonian method for determining the first day of each month. The High Priest waited until the first crescent of the new moon was sighted before declaring the commencement of Nisan 1. Because the conjunction of a new moon and the sighting of the first crescent of a new moon in Jerusalem is typically 16 to 40 hours later, the celebration of two Passovers on two different days in Israel was not uncommon. Many Jews regarded the date of the Passover as celebrated by the High Priest to be sacriligious, and continued to keep the Passover according to the Creation calendar, which would have been celebrated on Holy Thursday night. Among other groups that kept this Passover were the Essenes and any conservative Jew who dissented from the Pharisaical establishment. First, Jesus chose to celebrate the Passover according to the Creation calendar, not the Temple calendar. This may suggest an implicit approval of this calendar, but it may also be a prophetic way to fulfill both the sacrificial and sacerdotal elements of His offering: in the Passover of Holy Thursday we see him officiating and offering the Passover; the following day, we see Him as the victim, being killed while all the Passover lambs are being slain in Jerusalem. Both are fitting. After them another king will arise, different from the earlier ones; he will subdue three kings. He will speak against the Most High and oppress his saints and try to change the set times and the laws (Daniel 7:24-25). This did in fact happen in first century Judea, and it did in fact herald the coming of the Messiah and the destruction of the Temple. "They [the Jews] do not possess the truth in this Easter question; for in their blindness and repugnance to all improvement, they frequently celebrate two Passovers in the same year" (Eusebius, Vita Const., Lib iii., 18-20). Therefore, as with the case with the Resurrection chronology of Jesus, we need not worry about alleged contradictions in the Gospels. The multiple times given for the Passover in the Gospels are not due to inconsistencies or untruths on the part of the Evangelists but rather to the existence if divergent dates for celebrating the Passover in ancient Israel. Suppose that a great commotion arises in the street about something, let us say a lamp-post, which many influential persons desire to pull down. A grey-clad monk, who is the spirit of the Middle Ages, is approached upon the matter, and begins to say, in the arid manner of the Schoolmen, "Let us first of all consider, my brethren, the value of Light. If Light be in itself good--" At this point he is somewhat excusably knocked down. All the people make a rush for the lamp-post, the lamp-post is down in ten minutes, and they go about congratulating each other on their unmediaeval practicality. But as things go on they do not work out so easily. Some people have pulled the lamp-post down because they wanted the electric light; some because they wanted old iron; some because they wanted darkness, because their deeds were evil. Some thought it not enough of a lamp-post, some too much; some acted because they wanted to smash municipal machinery; some because they wanted to smash something. And there is war in the night, no man knowing whom he strikes. So, gradually and inevitably, to-day, to-morrow, or the next day, there comes back the conviction that the monk was right after all, and that all depends on what is the philosophy of Light. Only what we might have discussed under the gas-lamp, we now must discuss in the dark (Heretics, I). Nothing like coming back to Chesterton! Last time, when looking at the 1302 document Unam Sanctam of Boniface VIII, we came to the simple but important conclusions that the final statement of the document does indeed meet the requirements of an infallible statement by the Pope and that this statement is at least addressed to "every human creature," not just to Roman Catholics. Today we will look at the language of the document more in depth. Before going any further, I want to address something that was brought up in the last post but not really addressed. This is the concept that an infallible declaration by the Pope is only "binding" on Roman Catholics and nobody else. This was posited as one way around the Unam Sanctam "difficulty." I think to say that the Pope can declare dogmas binding only on Catholics is a sloppy and imprecise use of language. We don't usually speak of dogmas as being "binding" but only disciplines. I guess we could say that Catholics are bound to believe what the Church teaches, but usually the verb to bind or binding refers to discipline. If a dogma is pronounced infallibly by the Pope, this means the same thing as saying that this dogma is definitely true (that's what infallibility guarantees). Now, Catholics have an obligation to profess whatever the Church teaches, but all persons have a duty to seek out and believe the truth. We know that the Trinity is infallibly true, and has been declared so by the Church. Are we to maintain that, because the Church professes this, that only Catholics are "bound" to believe in the Trinity while non-Catholics aren't? This would be nonsense. Catholics and non-Catholics alike have an obligation to know and accept the truth. But the nature of the obligation is different - for Catholics, there is a moral and canonical obligation to adhere to the truth, but for non-Catholics the obligation is moral only but not canonical. Nevertheless, the moral obligation is a real one with real consequences if it is neglected. It would be better to speak not of the Pope binding Catholics to believe certain things that are not applicable to non-Catholics, but rather of the Pope and Church proclaiming or defining certain things that are in fact true, and that every human creature has an obligation to adhere to - though the nature of the obligation is different for those inside and outside of the Church. If there was no obligation for non-Catholics to come to the faith and accept the Church's teachings, why should we evangeize at all? And how could our Lord connect this with our very salvation, as He does when He says, "Therefore I said to you that you shall die in your sins. For if you believe not that I am he, you shall die in your sin" (John 8:24). Therefore we have to admit that to one degree or another belief in the teachings of the Church (and by extension, the infallible declarations of the Popes) is incumbent upon all peoples, not just Roman Catholics who are under the Pope's juridical authority. Porro subesse Romano Pontifici omni humanae creaturae declaramus, dicimus, definimus, et pronuntiamus omnino esse de necessitate salutis. “Furthermore, we declare, we proclaim, we define that it is absolutely necessary for salvation that every human creature be subject to the Roman Pontiff." "Furthermore, we declare, say, define, and proclaim to every human creature that they by necessity for salvation are entirely subject to the Roman Pontiff." “Now, therefore, we declare, say, determine and pronounce that for every human creature it is necessary for salvation to be subject to the authority of the Roman pontiff." Notice that in the latter two translations there is no use of the word "absolutely" or "absolute" as in the first translation. This is a huge deal, for the whole question about Unam Santcam revolves around whether the necessity of being subject to the Pope is absolute (ie., binding on every human person at all times) or hypothetical. Therefore, for some translations to lack the word "absolute" and for others to throw it in complicates the task of figuring out what the Pope is saying. Two key words here are omnino and subesse. Omnino is the word commonly translated as "absolutely" in the sentence "it is absolutely necessary", etc. However, the Latin word for "absolutely" is the participle absolutus -a -um, stemming from the word "absolvo." Had the document wished to say "absolutely," the Pope could have simply used this word, which means "complete, unfettered, or unconditional" (source). 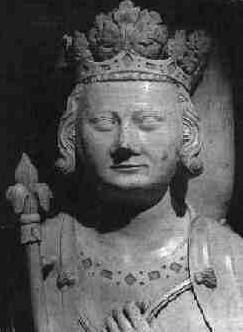 But Boniface VIII did not say that the necessity of submission was absolutus but rather omnino. The word omnino means "altogether, certainly, in general, or admittedly" (source). Though words like"certainly" and "wholly" convey the idea of necessity, they do not carry the same weight as the word "absolutely," and Boniface chose to use the word "altogether" rather than "absolutely." Thus my co-blogger Anselm, when discussing this topic with me, remarked "It is my opinion that the translations which render the Bull as "it is absolutely necessary..." are doing a great disservice to the Church." As we shall see in a future post, this disservice is due to the fact that the impression is given that the Church has contradicted itself. So, the best translation of omnino is altogether or certainly, words which may be conveying emphasis without implying any kind of strict necessity. "...we define that it is absolutely necessary..."
"...they by necessity for salvation are entirely subject to the Roman Pontiff." Now, it has already been shown above that absolutely is a sloppy rendering of omnino and that altogether or entirely are much better translations. Therefore, at least with regards to onmino, I think the second translation is preferable. Furthermore, we make clear, assert, define, and proclaim to every human creature that to be subject to the Roman Pontiff is entirely on account of the necessity of salvation. At any rate, I am not enough of a Latin scholar to know which is best, but the point I am making in bringing this up is that it is far from cut and dry what the best translation of this phrase is. Let's look at this in context of the next important word: subesse. Now, subesse is usually translated as "to be subject to," but one readily notices that the Latin word for "to be subject to" is not subesse but subjicere, which is also a lot closer to the English. Subjicere means "to throw under, place underneath, or to make subject." Subesse, the word the document uses, simply means 'be under, behind, at hand, close.' Therefore, like the case with omnino, it seems that the common translation of this word subesse as "to be subject to" is a little bit off and would be better rendered as "to be under," since the idea of subjection is not found in the word subesse. There is actually plenty of difference. Quite simply, one contains the concept of obedience while the other does not, as in these two sentences: "The book is under the table," versus "The sergreant is under the lieutenant." In the first case we simply have a statement of fact, in the second a statement of fact as well but with the added element of willful obedience. So, does subesse have any notion of obedience at all? I consulted Dr. Olga Izzo for this one, former Latin professor at the University of Calgary and an acquaintance through the St. Augustine's Homeschool Enrichment Program (she was also a former professor at Ave Maria). She told me that it was as I suspected: the word chosen by Pope Boniface VIII, subesse, does not contain any connotation of obedience; it is to be under in the sense that the book is under the table, not that the sergeant is under the lieutenant. This gives us the notion that when Boniface is saying that it is necessary that all persons be under the Roman Pontiff, he is not so much as commanding this subordination as much as stating it as a matter of fact. The gist of the phrase would be that every person is subject to the Roman Pontiff, and this arrangement is of necessity for salvation. This is not unlike the problem in Dei Verbum regarding the clause "for the sake of our salvation." If you take the documents of Vatican II to be authentic expressions of the Church's faith as I do (albeit in a watered down and ambiguous form), then we cannot really assert that Unam Sanctam literally means that every person on earth has to be in a state of conscious, professed obedience to the Pope to be saved. Then the real question becomes this: of what type of necessity is it that we must be subject to the Pope? Is it utterly absolute (as some renderings of Unam Sanctam) would have us believe, or is it hypothetical? And how does this square with Vatican II statements on the issue? I'll try to get into this next time. I heard an interesting argument the other day that we should prefer Eucharistic Prayer # 2 over Eucharistic Rprayer # 1(the traditional "Roman Canon") because #2 was ostensibly older than Eucharistic Prayer # 1 insofar as it was written by St. Hippolytus. Therefore, if we claim to be Traditionalists , we should prefer Eucharistic Prayer # 2 since it is older and therefore "better." 1) Do we know with certainty that St. Hippolytus wrote this prayer? 2) Is is automatically better because it is older? 3) Is Prayer #2 in fact older than the Roman Canon? First, did St. Hippolytus write this prayer? Well, of course, though Hippolytus was a saint by virtue of his martyrdom, we have to keep in mind that he was also an antipope. Even if Eucharistic Prayer #2 was written by him, I think this fact ought to put it a little below the Roman Canon. But was this prayer composed by Hippolytus? We need therefore to be careful about asserting too readily that the "Apostolic Tradition" is Roman, that it is our earliest liturgical source, that it is by Hippolytus and so on. The origin, authorship and dating of the document is not established with the certainty that would enable us to draw safe conclusions as a solid basis for practical liturgical proposals (source). Therefore, while it is possible that Eucharistic Prayer #2 may have been based on the writings of Hippolytus, we cannot say with anythign like certainty that this is in fact the case. "obviously unwise and mistaken is the zeal of one who in matters liturgical would go back to the rites and usage of antiquity, discarding the new patterns introduced by disposition of divine Providence to meet the changes of circumstances and situation" (MD, 63). But finally, this all begs the question: granted that Eucharistic Prayer #2 comes from the early 3rd century, would it in fact be older than the Roman Canon? I am assuming the person who said this was thinking of the Roman Canon as dating from the time of Gregory the Great (590-604). Of course, the Roman Canon did not begin with Gregory but was codified by him. Gregory himself stated that the canon had been already possessed and arranged in the same order for centuries and was himself unsure who wrote it (Epp., lib. VII, no. lxiv, also lib. IX, no. xii). We see St. Ambrose making a definitive reference to the Roman Canon and bits of the Roman Canon are quoted in the pre-Nicene Fathers. Going even further, some have examined the textual similarities between the Roman Canon and the Epistles of St. Peter and concluded that some of the Roman Canon may have been composed by St. Peter himself (Fr. Ripperger is of this opinion, I believe). Addition evidence to this effect is that in ancient Greek translations of the Roman Canon, the liturgy is referred to as "The Liturgy of St. Peter." I do not think Eucharistic Prayer # 2 is in fact written by Hippolytus, but even if it were, there is no evidence that it is older than the Roman Canon. The Roman Canon is at least as old, if not older. But this is a moot point, since we do not just strive to go back as old as we can, but to celebrate the liturgy in a manner that is organic and preserves all of the traditions of the past.